If you’ve been recently diagnosed with cancer, or have undergone cancer treatment in the past, it’s essential to continue seeing your dentist regularly for check-ups. 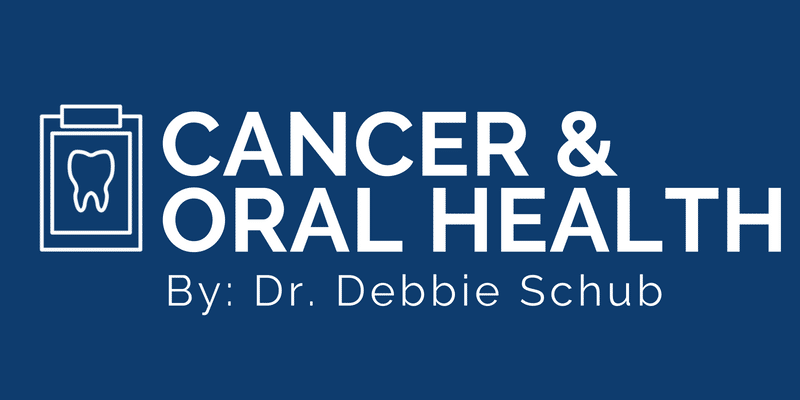 For the vast majority of cancer patients, dental care will remain unchanged. Twice daily brushing, daily flossing, and twice annual dental wellness visits may be all that you need. However, some patients may require more specific care. It is often recommended that newly diagnosed cancer patients see a dentist before beginning high dose chemotherapy, receiving a stem cell/bone marrow transplant, or starting head and neck radiation. Ask your oncologist or transplant surgeon if this applies to you. Some cancer treatments can suppress your immune system or otherwise alter your body’s natural ability to heal, and it is therefore imperative that your dentist ensures all potential sources of acute infection are addressed before initiating these treatments. We call this process “dental clearance” – which is to say that your dentist lets your cancer doctors know that your dental status is safe to begin cancer treatment. A dental clearance visit involves taking x-rays and performing an exam. If any treatment is necessary, we’ll review it with you and figure out the best course of action to meet your needs. An essential part of this visit will also be preparing you for any changes you may experience in your mouth as a side effect of your cancer treatments. We may recommend a special toothpaste for you or suggest another home care routine to meet your unique needs. Whether your dental care is affected by your cancer treatment or not, it’s important that you see a dentist who has experience working with cancer patients because he or she will understand your unique needs. At CPW Dentistry, we can provide this care for you. Whether you’ve been newly diagnosed or you are in remission, we can help provide the guidance and dental care you need to make your dental health one less worry on your mind.